With her intellectual, musical, civic and spiritual proclivities having been cultivated since age four, Nfrwi Quiana pursues a multidimensional career as a singer-soloist, poet/lyricist, studio-recording vocalist and counselor. Because she sings, writes, and speaks, she has founded Nfrwi, LLC to manage her many endeavors growing out of her multiple talents. 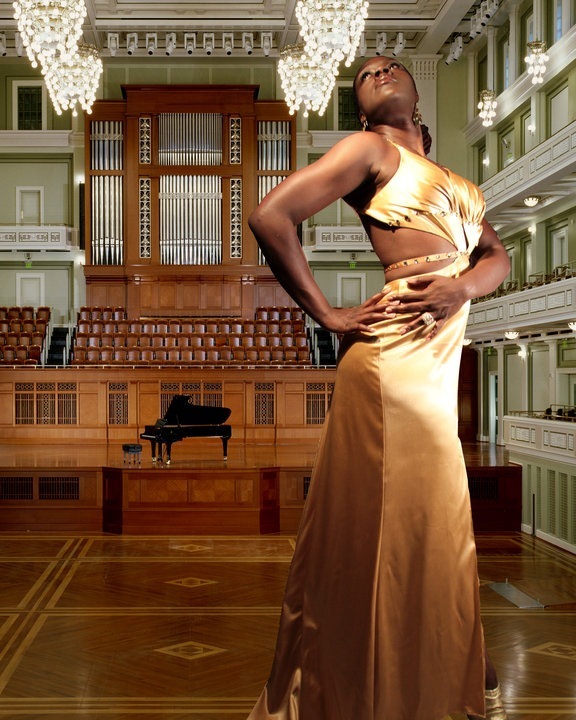 Embodying all that is meant by Lorraine Hansberry’s famous phrase, “to be young, gifted and black.” A lyric coloratura soprano, Nfrwi was inducted into Sigma Alpha Iota International Music Fraternity for Women in the spring of 2002. 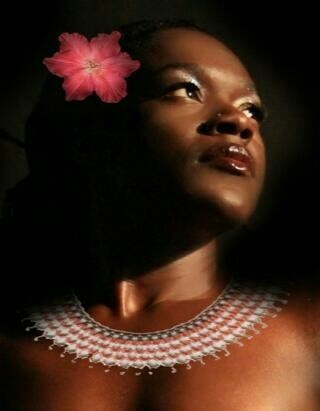 Sought after for her exquisite and moving vocal interpretations, Nfrwi has been a featured soloist. In Florida and her home state of Delaware, she has received awards of recognition for her performances by the fraternal organizations: Alpha Kappa Alpha, Delta Sigma Theta, Omega Psi Phi, and Phi Beta Sigma. Nfrwi was a finalist for a prized apprenticeship with the Houston Ebony Opera in Texas. Having been trained in classical European music for more than ten years, she became a member of the National Opera Association. She sang the leading role in the B-CU production of scenes from Lakme (The Flower Song). Her other performances include scenes from The Magic Flute (Ach ich fuhl’s) and La Rodine (Chi il Bel Sogno). Since she was a toddler, Nfrwi has been singing in the church. She performed with the college Gospel ensemble, Eliakim. In 2000, a scholarly study that she co-conducted and –authored, “Vocal Health in Young Singers,” appeared in the Journal of Vocal Health. And for various choirs and soloists, she has filled the role of Vocal Coach. In March 2003, at Tennessee State University’s hosting of the annual conference of ASCAC, Nfrwi presented her scholarly paper, “What is Beauty? The Miseducation of the Diasporan African Woman. At the ASCAC banquet, Nfrwi’s powerfully beautiful performance of “Motherless Child” moved the President to spontaneously vow to recruit her by any means. After auditioning for the Music Department, she was formally offered a full music fellowship from TSU. Nfrwi was already a bright star when she set foot on Bethune-Cookman’s campus. She toured Austria, England, France, Holland, and Italy as a soprano with the United States Collegiate Choir. In July of 2007, she returned from touring Italy as a soprano with a chorale named “Fruits of the Spirit.” Also shes traveled to Haiti and Jamaica doing mission work. She has worked with Hospice, AIDS Delaware, Bethel AIDS Task Force (now Beautiful Gates Outreach Center) and Love & Action to promote HIV/AIDS education and prevention. She has lent her talents to the efforts of the Northeast Alliance of Wilmington, DE. Her beauty shines as bright as her talents. Nfrwi reigned as the 2001-02 national “Miss Shrine.” At B-CC, she reigned as Miss Sophomore. And back home in Delaware, she’d won the “Living Doll” Award as an AKA Debutante. She continues her love affair with music by working with nationally known musicians in a myriad of genres. Nfrwi spreads her wings over all styles of music. She has shared the stage with the Orlando Philharmonic Orchestra, Alyson Williams, Richard Smallwood, Moses Hogan, Kindred the Family Soul, Ruben Studdard, Warren Hill, George Clinton & Parliament Funkadelic, Johnny Kemp, Lou Rawls and Glenn Jones just to name a few. 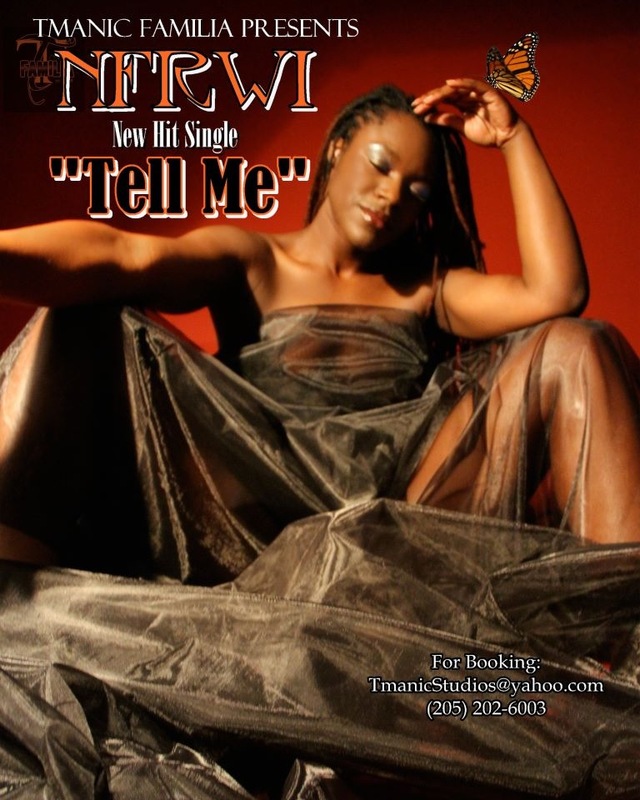 To experience her music for yourself, contact Kelvin at (205) 420-1937.